Hey guys! Finally, Christmas has passed! Now, we’re only a few days away until we bid adieu to the old year and feast to celebrate the new year! Speaking of feast, the post-celebration left us with leftovers that we need to manage. Now, it’s a no-no to just throw away what’s left or to let time do the spoilage for you! 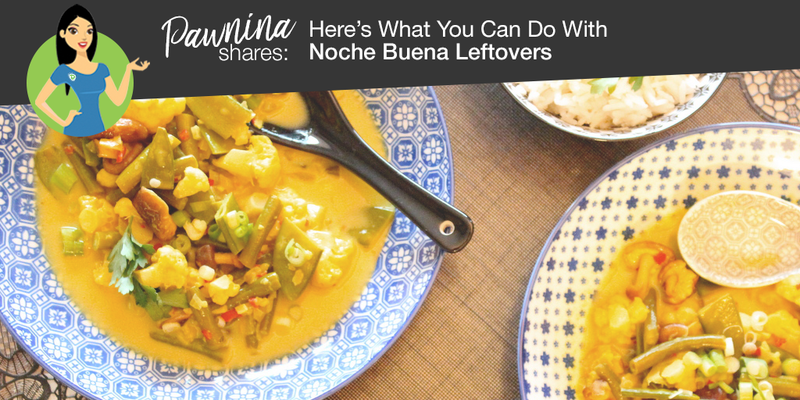 To avoid such leftover disaster, here’s how you can maximize food fun with all your sumptuous Noche Buena leftovers! You can still continue to host a potluck reunion! This way makes it a lot more practical! You don’t have to spend new ingredients to make another dish but instead maximize what’s left of your Noche Buena! Admit it or not this can be a tradition, a post-holiday gathering! But be sure the leftovers are still as presentable. You don’t want to look like you’re offering what your family can’t finish off. 2) Make everyday like your Sunday family dinner. Every night is like a family dinner on a Sunday thanks to our Noche Buena celebration! So to clean up the fridge to make way for the Media Noche, take advantage of the long vacation to bond with your family every dinner. There’s nothing like enjoying a decent meal with your family . A study suggests that having dinner together as a family at least four times a week has positive effects on child development. Plus, family dinners have been linked to a lower risk of obesity, substance abuse, eating disorders, and an increased chance of graduating from high school! So, make the best out of it! 3) Give what you can. The season of giving doesn’t end on the 25th, and with blessings overflowing from your Noche Buena, it is a Holiday Hero practice to share what you have! So, pack your leftovers and invite friends to join your post-holiday give back project. You can roam around and spread post-holiday good vibes by handing the packed food with blue collared employees working overtime, with street kids or with those asking for alms. Be their Santa they never had last Christmas. Of course, an obvious way to manage holiday leftovers is to reinvent recipes. Bring out your inner master chef and be creative by cooking up a new dish. 5) Packed lunch at work. Yes, for those going back to work after the holidays, it is a wise idea to pack lunch at work instead. You can also share that special heirloom dish from or the cuisine from your hometown with your colleagues. With the Media Noche fast-approaching as well, you can take these tips and apply it after your New Year’s eve celebration as well. In any case you need extra budget to get your New Year’s celebration going, PawnHero is here to help. The online pawnshop accepts a wide variety of items to give you quick cash loans anytime, anywhere. Just download the PawnHero app to start or visit the PawnHero website to learn more. Don’t forget to like PawnHero Philippines on Facebook, Twitter and Instagram to get updates, join games and in cash prizes.